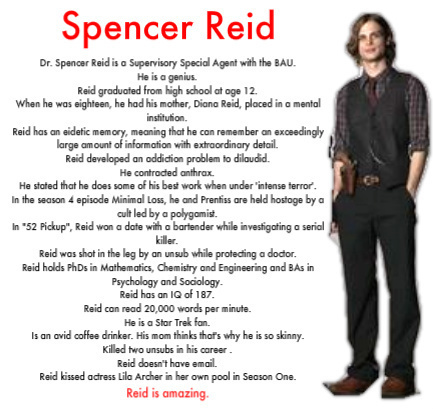 Spencer Reid - Facts. facts about our Favorit character:). Wallpaper and background images in the Dr. Spencer Reid club tagged: criminal minds dr: spencer reid. everything here made me sequel!!! Except for that part about him kissing lila! Grr... I ate her! why yes, he is amazing!